The setup and rules of the game in six languages, glossary, FAQ, annotated matches, variants, etiquette, and backgammon humor. There are more then 600 articles. The Web's largest and most interactive backgammon portal. Read the online magazine articles and shop for boards, books, and software. Free website by Michael Strato has tournament results, pictorials, interviews, and articles to improve your game. 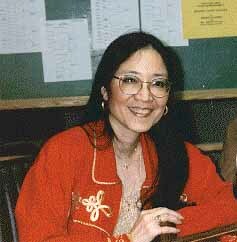 Article from the free Web encyclopedia that anyone can edit, with translations in more than eighty five languages. There is also a Wiktionary glossary of backgammon terms. See the Tables (board game) article for backgammon variants played throughout the world. There are other backgammon portal sites in Bulgarian, French, German, Greek, Hungarian, Japanese, Polish, Portuguese, Russian, and Spanish. There are webpages with lists of categorized backgammon links in Dutch and Hungarian. For help with translations try Bing or Google. If certain links appear to be down, check to see if it's for everyone or just you. Graphical newsreader interface for the Usenet newsgroup for unmoderated discussion of all facets of the game. Postings are also accessible on the Web at Google Groups and NARKIVE. Some of the better contributions are saved at the Backgammon Galore! Forum Archive. Join the backgammon discussions at Reddit. See what players are sharing at Google Plus and Twitter #backgammon. Carol Joy Cole's lively listing of upcoming backgammon tournaments around the world. Carol also runs the Michigan Summer Championships. Check International Tournament Results for the lists of winners from major events worldwide. For many major US tourneys, final and in-progress results are posted at Backgammon Match Results. Held every year since 1976 in Monte-Carlo, Monaco. See the historical list of World Champions from 1967 to the present. Watch videos of recorded matches from the 2017 event on Twitch and YouTube. Smaller tournaments are run year-round by the Monte-Carlo Backgammon Association. Organization founded by Chiva K. Tafazzoli dedicated to promoting the game internationally which supported the European Backgammon Tour and now supports the Sunshine and Holiday Backgammon Tournaments . Chiva is a co-founder of the FT BGsystem Web-based tournament management application. which also has mobile applications for Apple and Android devices. Organizers of the the annual European Championship tournament. The WBF General Secretary Marco Fornasir also runs Golden Circuit 2016 and Italian tournaments. Televised high-stakes tour events. Watch some of the top recorded matches on vimeo at WSOB TV and the WSOB channel on Ustream.tv. "A not-for-profit organization devoted to advancing the awareness, participation, education and enjoyment of the skill-based game of backgammon." Find a local club for live play at the USBGF Affiliated Club Network directory. See the official USBGF Tournament Rules . Watch streaming live and recorded tournament match videos at the USBGF channels at Live Tournament Streaming, USTREAM and YouTube. The Larsen/Silliman U.S. Backgammon Ranking is based on tournament points won by players over the past five years. Before your first ABT tournament it may be helpful to read 31 Things You Need to Know. The official set of tournament rules which require the use of clocks with the Simple Delay time control feature. Also see the suggestions on clock ethics. There is a webpage instruction on how to set up an Excalibur GTII timer for backgammon matches. DGT Web Shop sells a variety of digital timers suitable for backgammon. Some other popular digital game clocks are sold by Chess House, Duel Timer, Leaptimer, and ZMartFun. For iPhone/iPod devices the Merkmatics Chess Clock app may be downloaded at iTunes. Some other game timer apps for iPhone/iPad are A1 Game Clock and BG Buddy. For Android devices there are many free game clock apps to download at Google Play. The free Widows Phone Chess Clock app can be used for backgammon. Free to download is AGClock for Windows, which also includes a scoreboard. An up-to-date listing with links to websites for active clubs in the United States. Also check the clubs directory at BackGames.org. Find other players in your area at a Backgammon Meetup group. Organizers of the largest tournaments in the USA, since 1991. There are smaller weekly tournaments at the Las Vegas Backgammon Club. Operating continuosly since 1978. Runs tournaments twice a week in the Los Angeles, California area. Other California clubs are in Orange County, San Diego and the San Francisco area . Tuesday night tournaments are held in Washington, DC. Bi-weekly Sunday afternoon tournaments are held by the Beltway Backgammon Club in Arlington, VA, close to the Washington, DC Beltway. The nearby Northern Virginia Backgammon Club has weekly tournaments. In Maryland, tournaments are held bi-weekly at the Baltimore Backgammon Club and DC-Metro Club, and monthly at MDBackgammon. The 2019 Cherry Blossom Championship tournament starts May 9 in Herndon,VA. Holds weekly tournaments in downtown Vancouver, Canada. Elsewhere in Canada there are websites for clubs in Ottawa and Toronto . There are also Facebook pages for clubs in Argentina , Jamaica, and Peru. A non-profit union of national backgammon associations for the continent of Europe. Here are the EUBGF tournament rules. Some Federation member nations with their own backgammon association websites are Austria, Belgium, Bosnia and Herzegovine, Croatia, Czech Republic, France, Germany, Greece, Iceland, Italy, Romania, Switzerland, and Turkey. There are also websites for the Russian and Ukrainian Backgammon Federations. As updated by club directors at the database site backgames.org. For the UK and the Republic of Ireland there is a club locator page and a clubs map. Also find other players where you live at a Backgammon Meetup social group. BIBA, the biggest backgammon body in the United Kingdom, is on Facebook and Twitter. The BIBA Tournament Rules and Procedures are here. Another large organization is the UK Backgammon Federation which has accounts on Facebook and Twitter and runs the London Open tournament. See the UKBGF match video playlists . Private lessons are available from Backgammon Workshop . London Players' Backgammon League for individual players has the most comprehensive Events Calendar for Londoners. There is a backgammon competition as part of the annual Mind Sports Olympiad held in London. There is a Facebook page for MSO. Organizers of the Nordic Open tournament. Every issue since 1989 of the DBGF Gammon magazine is posted online. Other Nordic national groups are the Finnish Backgammon Association, Norwegian Backgammon Federation, and Swedish Backgammon Federation. Website with lots of general backgammon information, mostly in Japanese. The annual Japan Open in Tokyo is the biggest tournament in Asia. There is a public Facebook group for the Japan Open. Watch live tournament match videos at the JBL channel and saved on YouTube. There is also a club in Hong Kong. The Malaysia Backgammon Association is on Facebook. The association formed to encourage the growth of the game in Australia maintains a list of clubs for live play. The Australian Backgammon League, which organizes mainly online tournaments for players Down Under, has a Facebook page. Visit Syd Moore's Chouette Club on Facebook for "backgammon news and entertainment. " To find players and tournaments in New Zealand check Backgammon NZ . Tips from Bill Davis on forming and operating a local backgammon club.There are also recommendations from Michael Crane. Or you could also organize a new Backgammon Meetup social group. A different tournament format to try for 4 to 16 players is BG+3 . To generate tournament brackets and report match results, use one of the free web tools BracketMaker, BracketsNinja, Challonge!, DrawBoss and GammonPoints . Tournaments and lessons to raise awareness of backgammon in the collegiate community throughout the world. The world's best as voted by tournament directors and other championship-level players. Some Giants past and present who have their own websites include Victor Ashkenazi , Nack Ballard, Gus Hansen, Jake Jacobs, Mochy, Karsten Nielsen, Jacob Rice, Elliot Winslow, and Akiko Yazawa. There is a six part YouTube documentary about Matvey "Falafel" Natanzon. The BMAB confers mastership titles and proficiency level certificates based on calculated error rate performance (using eXtremeGammon) in live clocked matches in tournament conditions. For actual performance in tournaments there is a Backgammon World Ranking Excel Online spreadsheet and BWR Facebook group page. Collection of profiles of players who compete in live tournaments around the world. See Max's Album for 100 backgammon photos from the 1970's and '80's. Some other sites with pictures from tournaments years ago are BackGam.com, Backgammon Central, Bg-Info, and GammonLife. Latest update of the free interactive website by Terje Pederson to replay over 7,000 recorded matches and test your skill with challenging quizzes. Watch the introduction videos. There are more quizzes at Chow's Checkerplay Challenge, GammonLuck, and TheDoublingCube. Serge Nicholas has posted in French a ten position Test. Use your Android device for training with the Backgammon Learning apps by gammonfreak. A large categorized collection of computer-analyzed positions and problems. BGtrain is another free interactive website with a large database of positions, which is also on Facebook. For study and reference you can store positions on your iPhone/ iPod touch with the Backgammon Position Cards application. Blog of interesting positions analyzed by Chris Bray, former backgammon correspondent for The Independent newspaper in the UK. Follow Chris on twitter. There are website flash cards to study the best plays for 150 postions. You can download pdf files to print position cards from Vegas BG and Voice of Backgammon . Gamer Cafe has a free online position evaluator. A tutorial (and perhaps a refresher for some) by Michael Crane of BIBA. Sean Williams of UKBGF has posted Five Ways to Improve your Backgammon. Some other valuable tips on strategy are shared at the websites of experts Michael Bo, Tak Morioka, and Piranha. Instructional blogs are posted by Robert Andersson, Backgammon for Beginners, Backgammon Camp, Big Money Bill, The Dorbel Daily, Dubrovnik, GammonGo, Nori, David Potter, Richi, and Bill Robertie. Private lessons taught by Phil Simborg and other expert tournament players. Phil has posted "A Simple Quiz ..." at slideshare . On YouTube there are teaching videos and podcasts at the Phil Simborg channel and Backgammon Learning. Attend live group lessons at BLC Bootcamp. The Backgammon Tutor website has short interactive topical lessons for all skill levels taught by the pros at MindGamesCenter. Slide presentations as given by World Champion Masayuki Mochizuki at various tournaments. Video lessons taught by Mochy and other champions are available at twitch.tv, Back-Gammon.TV, and Facebook . Watch videos of tournnament matches on YouTube at the Mochy channel. Also read Mochy's blogs Backgammon Exam, Backgammon Study, and Backgammon Today. Free backgammon flash cards for learning at all levels by Jeremy Bagai for Android and iOS devices. Download the free Cram.com mobile app to study or create Backgammon flashcards on your phone. Generate and read computer flashcards for any subject with Anki. Online discussions hosted by Stick Rice with participation by many other expert tournament players. 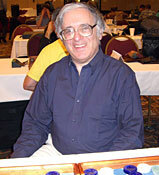 The Two Plus Two backgammon forum is hosted by former World Champion Bill Robertie. For German speakers, there is Hardy's Backgammon Forum. There are also active discussion forums in Italian and Japanese. MindGames Center has instructions on how to post position diagrams from bots for discussion in forums and blogs. Archive of articles published between 1999 and 2003 at GammOnLine, the online magazine founded and formerly edited by Kit Woolsey. Subscribers to Kit's GammonU can retrieve past issues, post messages to the discussion board forum and take part in interactive online matches (OLM) versus Kit. Computer rollouts by Stick Rice for the best way to play the first three moves. Also see the first roll analyses by Tom Keith, Christian Liebe-Harcort, Phil Simborg, and Wikipedia. Nack Ballard and Paul Weaver wrote Backgammon Openings, Book A. Also see the program Opening Ceremony of Backgammon. For Blackberry there is an app Backgammon Openings Strategy. Free paper by Jeremy Bagai on replies to the opening roll. Also see the analyses by Murat Akcan, APBG.net, Tim Chow, and eXtreme Gammon. There are website flashcards to help you learn to play the best second roll responses against splits and with doubles. Then you will be ready to study the 23,331 positions with 3rd Roll Master software, which has a free trial version. Michael Crane reviews various methods for easier and faster counting. Also see the counting and race analysis techniques of Art Benjamin, Dean Gay, Jack Kissane, Nigel Merrigan, Axel Reichert, Jean-Luc Seret, Sho Sengoku, Edward O. Thorp, Bob Townsend, and Walter Trice. Need to practice? Pipcounter for Backgammon is an Android app for that. The program by Douglas Zare for studying bearoff and longer race positions has a free trial version. Mochy has posted his slideshow lesson on Bear off cube action. François Tardieu has Bearoff Tips at DMP. Matussek shows how to calculate Game Winning Chance for bearoffs. For bearoffs with up to nine checkers per side, the free Exact Bearoff program by MDG Software calculates the percentages. For 15x15 positions there is the Bearoff Equities set of DVD's by Hugh Sconyers with calculated bearoff equities and backgame probabilities. A training app for Android is Last Roll. Find your percentage chances of winning from any match score as calculated by Kit Woolsey. Other tables in use are Mec26 and Rockwell-Kazaross. Applications of the table data are discussed by Tom Keith, Fabrice Liardet, and Stephen Turner. Download or upload recorded matches to Othello's large online collection. Other collections of recently recorded and computer-analyzed matches between top tournament players are stored at Svilo.com and Warpgammon. Replay the championship matches at Hardy's Match Archive. Posted with rollout solutions by the Japanese Backgammon League. Other Japanese websites with quizzes are Gammoner's High, Osaka 2012, and Yazawa's Page. Annual Backgammon Festival Othello Quizzes are posted for 2015, 2016, 2017, and 2018 . See solution videos for Othello Quiz 2017 Part 1 and Part 2 . Study cube actions that have been blundered by world-class players. Backgammon Encylopedia Vol. 2 by Kit Woolsey focuses on cube reference positions. World-class artificial intelligence-based game player and analysis tool for Windows OS and as an online opponent at the GammonSite server. For play and analysis on mobile devices there is XG Mobile for Apple iOS and Android. Join in the Humans vs. XG public group match on Facebook. Download and install the free open source neural net software for championship-level play and analysis. NOTE: While the GNUBG website is down, newer versions for MS Windows can still be downloaded from here . The Home page portal is archived here The program has precompiled versions for Windows and MacOS X and also runs on Linux and Sun Solaris. Additional information may be found at the GNU Backgammon portal. User help is available from All About GNU, Documentation Wiki, Guided Tour, and the Japanese FAQ. Report bugs or wishes here. So what is GNU? Neural net backgammon player which has won the Gold Medal at the Computer Olympiad. Replay saved games and calculate cube strategy for matches with this versatile Java application which runs on Windows, Macintosh OS 9/X and Linux. Features include real-time tutor, Dailygammon support and Longgammon. "The Swiss-Army knife for backgammon." There is a BGBlitz page in Japanese. A version for cell phones and other mobile devices is BGBlitz2Go. Read an article about the making of BGBlitz2Go. A neural net-based shareware Windows game program. Other artificial intelligence shareware game programs for Windows are 3D Backgammon, Backgammon Classic 7.2, Backgammon Intelligence, Bob's Backgammon 2.0, and Snowie. The freeware Quick Backgammon by Geert Verkade for Windows PC has a separate Random Rolls Creator file to download. There is also a version to buy for Windows phone. The free Monte Carlo neural net player also has a Backgammon-To-Lose version. Play on the Web against an evolved neural network computer. The training of HC-Gammon at Brandeis University is discussed in the Wired magazine article "In Search of the Electronic Brain." Also try the free online GAMMONLAB interactive board for neural net analysis of positions and your online matches. Just click to start play against the Java-based Web computer players 247 Backgammon, by-art.com, David's Backgammon, Great Day Games, Minigames , and Motif. The first expert-level neural network program, which was developed in 1992 by Gerald Tesauro for the IBM OS/2 operating system only. Read more about TD-Gammon and the early programs inspired by it, such as JellyFish, at Jay Scott's the neural net backgammon programs. Mark Higgins discusses his own attempt to build a neural network-based bot at Computational Backgammon. Watch the video AI and Backgammon. Shareware program by StrongGames which offers a choice of opponents: human, computer or network game over LAN. Another programs with this feature is TLK 3D Backgammon Unlimited. Download the Windows or Macintosh version of David Byrum's shareware game program with speech recognition capability. David's Absolute Backgammon works with all versions of Mac OS X and there is an iTunes app for iPad. Other backgammon game programs playable on Macs are BGBlitz, Hardwood Backgammon, Masters of Backgammon and WildCard Backgammon. Game application developed by Tom Keith for iPhone,iPod touch, and iPad. Read Tom's article. Other computer opponents for Apple mobile devices are Art Deco Backgammon 3D, Backgammon by George, Backgammon Gold, Backgammon Guru Pro, Backgammon NJ, Backgammon Pro, Backgammon V+, iTavli , Masters of Backgammon, and XG Mobile. Download the fully featured game app in English and German for play against the computer (BGBlitz) or against a friend. Other game apps for iPad are Backgammon Guru Pro, Backgammon NJ HD, and XG Mobile. Shop the Google play store for many game apps to download. Also for Android see Backgammon NJ, Backgammon V+, iTavli, and XG Mobile. Backgammon, tavla, tavli and dice apps to download. Some are free. Shop the BlackBerry World webstore for game apps. Another computer opponent to play on your BlackBerry is BGBlitz2Go. Compulab True Backgammon is a game for Amazon Kindle e-reader devices. Also see the Agile Fusion Kindle tablet edition. Download a free java game for mobile phone to play against a computer or another player on the same phone. Other wireless games for various handsets with these features are BGBlitz2Go and Odesys. Official website for the free cross-platform backgammon server created in 1992 by Andreas (marvin) Schneider. To play, use the Telnet DNS address fibs.com:4321 or download one of the graphical interfaces. You can also use the java applet registration tool. Check the current FIBS connection status at FIBS Board or at FIBSdotcom on Twitter. If FIBS is down, try the free TigerGammon server, which works with the FIBS-compatible graphical clients. Forum for discussions, news, pictures, archived files and online tournaments. Follow FIBSdotcom on Twitter. You can help edit the FIBS Wiki. For tournament information check FibsLeaGammon. Is FIBS an experimental tool for the study of induced dysfunction? Download the free Windows graphical client formerly known as 3DFiBs for play on FIBS and offline against the GnuBG bot. Other free clients are C4FIBS, DelFibs, Gibbon, RealFIBS and the original, FIBS/W. The shareware Beggar's Backgammon Terminal is a Windows-based graphical client by Gamer Cafe for play on FIBS. The GreedyGammon client may also be used to play on TigerGammon. The app for Android devices is Backgammon Mobile Onine. The free FibsCE client was created for handheld computers with the Windows CE operating system. Multi-platform Java-powered graphical interface for FIBS which works with Windows, MacOS, Linux, Solaris, AIX and OS/2. See the How to connect page. Watch the JavaFIBS video tutorials for beginner and more advanced users. The JavaFIBS client may also be used to play on TigerGammon. MacGammon Online is an OSX FIBS client. Download the first Internet-capable FIBS app for iPhone/iPod Touch/iPad. To play on FIBS or TigerGammon on Android devices there is Alcacoop Backgammon Mobile ONLINE. A FIBS client is included with BGBlitz2Go 2.1.0 for most mobile phones which support Java. Client programs for mobile phones with Java/MIDP support are Odesys Backgammon 3.0 and MobileFIBS. Download the MS Windows or Mac OSx software to play backgammon and other games for free, including the only programmed No-hit backgammon game available. There are many leagues and ladders. Tournaments are run by GammonZone. Download the Windows or Mac client software to play or watch for free. Many of the world's top tournament players compete regularly here. GridGammon is the Internet host for European Backgammon Internet Federation (EBIF) and International Backgammon Championship tournaments. Play for free or as a paid member using GameSite 2000 software. You can also play the hypergammon, long gammon and nackgammon variations. eXtreme Gammon is an expert-level resident neural network player. Free large multiplayer community for one-on-one games and tournaments at the wesite and with mobile apps for iPhone, iPad and Android. Play for money on your mobile device with apps by Gamy Tech for Android, Apple and Windows. It also pays to play fee-based tournament backgammon and the many other games online at GameDesire, Royal Games, and Rubl. There are reviews at InsideBet and Online Backgammon Money. Play for real money. Other cash playsites are GAN and Vbet . Internet gambling In the United States is regulated according to the Unlawful Internet Gambling Enforcement Act of 2006. Compete against other players for cash prizes in fee-based mini-tournaments. There are free Backgammon Live mobile apps for iOS and Android devices. The free app for Windows 10 is Backgammon Online GC. There is also a GameColony Backgammon-HTML5 web app where you can play using any new browser-either on a desktop or on a mobile device. Free Java-based site to play backgammon and other games. For backgammon room backdoors look here. Other free Java-based multiplayer games sites with backgammon are AOL, Agame, Cute-Games, FlyOrDie, GamePoint, GameTwist, GameVelvet, Nidink, and ZooEscape. Free HTML5 (no download) multiplayer backgammon which works on mobile and tablet devices. Features automated tournaments,contact list, game records and instant messaging. For other sites to play and chat, download the client software at Onlinebandit and VPChat. Free multiplayer backgammon using Adobe Flash. Novel Games also offers the variants duodecim scripta, gul bara, royal game of ur, senet,and tapa in multiplayer and single player versions. Another free Flash site requiring no game download is GamesGames. Download the client software designed only for the Microsoft Internet Explorer browser to play backgammon and other games for free. The available variations include acey-deucey, gul bara (crazy narde), hypergammon, long gammon, nackgammon, narde (feuga), and tapa. To play backgammon at MSN Games, you must use the Internet 7 or later browser. A free multiplatform backgammon server. The variants nackgammon and hypergammon are also available. TigerGammon uses clients compatible to the Fibs-interface, such as JavaFibs for all platforms, GreedyGammon for Windows, and BackgammonMobile for Android. Play either against the computer or online anytime with people everywhere. From Silvercreek Entertainment with downloads for Windows, Mac OSX, iPad/iPhone, Android, Kindle Fire, Nook, and XBox 360. Earn Achievements for outstanding single player or XBox Live play. Full-featured, high definition game which uses an advanced, neural network-based, artificial intelligence. There are versions for Android and Apple mobile devices. Can also be used to play real-time online matches on Google Play Games Services. Download the FaceMe Backgammon app by Quatrian to play on the multiplayer social gaming network for iOS devices. Other apps to download for play at Apple Game Center are Backgammon for Masters, RT Backgammon, BackgammonNJ, and WildCard Studios Backgammon. Free turn-based backgammon, where you need not be online at the same time as your opponents. There are single elimination and alternative tournaments. DG Mobile is an Android app. Free correspondence gaming for backgammon and other games. The free turn-based (non-realtime) backgammon at It's Your Turn is similar to playing by e-mail but using a graphical Web interface which requires no download or Java. Other free turn-based playsites are BrainKing, GoldToken, Pocket-Monkey(tm), and YourTurnMyTurn. Richard's PBeM Server offers free backgammon, deadgammon, grandgammon, hypergammon, moloko, moultezim, nackgammon, plakoto, savoy, and spiro via e-mail. Login with your social network account or use the Mobivention Game Service to play against the computer or online with chat. Cross platform supported for Android and iOS. Available on Facebook to play for free against your friends. Some other free backgammon game apps on Facebook are Backgammon Arena, Backgammon Plus, Backgammon Pro, Backgammon Live, CityGammon, Live Challenge, Lord of the Board, Pasha, Real Gammon Tavla, Tavla, and Tavla Plus. Znappy has multiplayer backgammon on Facebook, or for Apple and Android devices. Online multiplayer or single local game program to download with versions for Sony PS4. Online multiplayer also requires a PlayStation®Plus subscription. Multiplayer game for Symbian and Windows Phone devices. Play others using Skype Internet telephone at GameXN. Free Java client site to play backgammon and variants including the Swedish boardgame bräde. Sites for German-speaking players are BrettspielWelt, MeinGAMES, and Speedgamez. Free tournaments at SafeHarbor Games played for ratings and Life Master points. Check the GZ online newsletter. Warp Gammon also hosts many online tournaments. Internet based organisation which provides a framework to participating European nations to organise and manage online National Championship tournaments. The EBIF provides and maintains a database of error-rate based performance ratings for all players participating in international EBIF events. Challenge ladders and leagues for various backgammon servers are listed here and at MyLeague.com. Winsome's blog has An Introduction to Case's. Free tournament-based online leagues played on Pogo and Safe Harbor are listed at Eliters. "A Prime Source of Backgammon Information." Free online material and also many links to online casino sites. Download for free the final issue of the print version. Back issues of the online version are stored here and here in the Internet Archive. Online preview of the bimonthly print newsletter edited by club director Carol Joy Cole. Bi-monthly electronic and print magazine published by the US Backgammon Federation. The former magazine of the British Isles Backgammon Association which is still available in a full-colour PDF version. New for 2019 is the free smaller and more frequent BibaFix online publication . A compilation by Art Grater of books, articles and dissertations. Also see Backgammon Galore! Books and Hardy's Bibliography of books published either in English or German. Read previews of books that mention "backgammon" at Google Books. Search library catalogs worldwide at WorldCat. Bill Robertie's website sells books by Bill and other authors. Cardoza also publishes books by Bill Robertie. Also see Jeremy Bagai's Fortuitous Press devoted to backgammon books. Clock and Rose Press published the 2004 edition of "The Backgammon Bible" . Other book webpages are Backgammon Openings Book A, Conquering Backgammon, Backgammon from Basics... , Pure Strategy, Backgammon for Losers, Opening Concepts , Backgammon Problems, and Backgammon Funfair . Chris Bray is the author of Backgammon for Dummies. Books by Chris Bray and Danny Kleinman can be purchased at Lulu.com. Compare prices from many online stores for new and used backgammon books here and at AddALL, BooksPrice, and Powell's. To purchase old, rare and out-of-print backgammon books search the current inventories at AbeBooks and Biblio. Download for free the 95-page electronic book by Stefan Gueth, How to become a Backgammon Hog. Another free book to download in pdf format is Everday Errors in Checker Pay by Dr. Baron Gossett Euler. There is a free open-content backgammon Web textbook at Wikibooks. Also check the many backgammon eBook titles available for Kindle and Nook Books e-reader devices. "The Chaos of the Dice"
"A backgammon hustler’s quest to gain an edge." Profile of Falafel was published in The New Yorker magazine. Il Post has an article about Falafel in Italian. The article "Backgammon Hustler" is from Cigar Aficionado magazine. Find more articles about backgammon to read for a fee at Questia and NewspaperARCHIVE. Also check Google News for news articles that mention backgammon. Search for technical journal articles with Google Scholar. Publish your own backgammon writings with this free online tool to generate board diagram images suitable for printing and inserting into other documents, including webpages. You can Generate a Backgammon Board Interactively with bglog by Simon Woodhead. Other tools are APBG.net Board Diagrams and Fish Bust . MindGames Center has instructions on how to post position diagrams from bots for discussion in forums and blogs. Use the Monte Carlo font to create backgammon diagrams in either the TrueType or PostScript format for Mac or Windows. There is a backgammon-inspired typeface called Tavla. Visit the online store for a wide selection of top brand boards, books, software, and accessories. Other sources to purchase backgammon merchandise online are Carol Joy Cole's Backgammon a La Carte and the Backgammon Shop of Chris Ternel. Order a set individually handcrafted by CBB. Custom boards may also be ordered from Alexandra, Bamboo & Rattan, Bradford Boards, Brahma Boards, CustomMade Ventures, Emmanuel David, Erhan 869bg, FM Gammon, FTH Backgammon, Gamblicon, Gammoner, Hampden Designs, Lieb Manufaktur, Nine Fair, Geoffrey Parker, Andrew Pinkus, and Studio Jean-Michel . Leather attaché case sets in many sizes designed and handmade in Bulgaria by Svilen Todorov. Other top quality leather briefcase style sets are sold online by T.Anthony, Artgammon, Aspinal of London, Asprey, Barneys, Bone Club, Brazilian,The Conran Shop, Gammoner.US, Ralph Lauren , Linley, Pickett, Renzo Romagnoli, Hector Saxe, Scully & Scully, Smythson, Trouva, William & Son, Wycliffe Brothers®, and Zontik Games. Makers of luxury hand-built leather championship backgammon boards since 1961. There are game tables, table-top, attaché, travel roll-up sets, and accessories. Aluminum/carbon fiber cases with suede playing surfaces. Design your own custom board colors and accessories at the website. Watch the demonstration video. Handcrafted sets by Tak Morioka with lightweight hardwood cases and velvet playing surfaces available in many color combinations. Customized upon request. Manufacturers in the USA since 1948 of attaché and tabletop backgammon sets with cork playing surfaces and accessories. Crisloid sets are also sold online at Zontik Games. Backgammon Board Creations makes boards with your choice of fabric in a wood frame. Other tabletop boards are for sale at Guy Bedford, Crisloid, Purling London, Hector Saxe and Wolfum. Elegant and functional two layer glass table by Sonné. Also see the game tables at Abax, Michael Allen, American Heritage, Amy Art, Sam Anderson, Art Deco Collection, Thos. Baker, Christina Boy, Ginger Brown, Bret Campbell Mosaics , Nina Campbell, Jonathan Charles, Crisloid, Emmanuel David, James De Wulf, John Foster, Don Frost Sculptor, Gasperetti, Hamilton, HandmadeTables, Hardwood Creations, JaMar, Mark Lackley, Linley, Alexandra Llewellyn, MacGregor, Maitland-Smith , Malachite Art, Morini, Oomph, Geoffrey Parker, Darrell Peart, Perczek, Dan Rieple, Hector Saxe, ShopLadder, Skolnik-London, The Source Collection, Sun Valley Woodworks, Elisabeth Weinstock, and Wood Expressions. Leathersafe Roll & Play travel set with bamboo rods. Other roll-up travel sets are sold online at Michael Allen, Aspinal of London, Crisloid, Harley Davidson, Gatogi, Thomas Lyte, Lucrin, Mark and Graham, Mercedes-Benz, Geoffrey Parker, Pickett, Rose & Pentagram, SageBrown, Hector Saxe, Smythson, Sondergut, A Summer Shop, Undercover UK, and Elisabeth Weinstock . Giant outdoor sets are sold by Jaques London. Selling FTH Boards and dice cups by Fazil Terlenez, precision dice, and accessories. Some of the many other websites for online shopping are Aerin , Ancient Games, BackgammonHellas, Cambor Games, Gammon Guys , Hoyle's of Oxford, David Levy, Sonné, and Yenigun. America's largest chess store,Your Move Chess and Games, also sells backgammon sets and accessories. Extensive Web catalog of backgammon boards and accessories from Germany. Other German websites with boards and dice for sale are Denkspiele24, Gammoner, KATOCO, and Weible Spiele. Also visit Columbus, the Austrian online games shop. The Swedish store Gammon Games also sells backgammon products online. The world's most expensive backgammon set. Geoffrey Parker's most expensive backgammon set sells for $387,890. There is a set for Bentley Motors . A malachite backgammon box with bronze decorations is sold by Malachite Art. An ebony and sterling silver set is made by Henry Tuke. The Masque de femme Lalique set in leather printed croco black has clear crystal playing pieces. Acrylic attaché sets are sold by AVF and Daniel Chadwick. Lacquer sets are made by Jonathan Adler, including an Optical Illusion Art board. Other unusual but much less expensive sets are made using cigar boxes, hand printing, marbles, salt crystals, sponge, and terracotta tiles. Also see the Backgammon in the round board. Electronic board invented by Dr.Jakob Garal which records your moves while you play. See the latest design. Web exhibit of unusual old sets curated by the Waterloo Museum of Games. Rare antique backgammon sets are bought and sold online at 1stdibs, Antique Chess Shop, and the saleroom. For fine continental antique game tables search French Accents. Instructions from Our Pastimes.There are more woodworking plans for boards at Instructables, LumberJocks, Simply Rurban, U-bild, and Woodcraft. Or you can build a set from LEGOs. HGTV has free directions for making a fused glass set. There is also a printable board to download. Plans for making cloth boards are at Crafty Llama, Infarrantly Creative, and Lovely Indeed. You can even make a simple game board using duct tape or an Altoids tin. The NeedleArt Closet website has backgammon board patterns by many designers. Also see Art Needlepoint, Bestitched , Anne Cram Designs, Cross Stitch Stash, Deux Bijoux Bijoux, Kate Dickerson, House of Stitches, Liebe-Lachen, MaggieCo, Susan Jones, The Needlepointer, Past Times, Pepita, Susan Roberts, Robin's Design, Sudberry House, and Zecca. Knit your own board with the pattern from Ravelry. A pattern for a knitted afghan is at Woollythoughts. DIY Network has video instructions for a knitted board bag. Place your bid at eBay for older, hard-to-find equipment or buy it now from there. Buy and sell vintage and handmade items at Etsy. There is a community marketplace for backgammon items at Backgammon Curious. Also browse the boards and tables for sale at Amazon and Google Shopping. You may need a currency converter. Sushi theme and three other playing digital boards. To play on Android tablet or mobile phone download the Freeform Backgammon board app from the Google Play Store. A board app for Blackberry is Old City Backgammon. Backgammon scoreboard app for Apple. Another is Scoreboard + . For Android devices there is Backgammon Scores PRO . A combination scorekeeper, clock, and dice roller for iPhone/iPad is BG Buddy. Backgammon Scorer is a Windows app. Cardboard scoreboards are sold by Artgammon , BgShop, GammonGames, Svilo, TakePoint, and USBGF. Read about how the random online dice rolls are generated for Ariston, BG Buddy, Backgammon NJ, BackgammonMasters, BGBlitz, BGBlitz2go, DailyGammon, GamesByEmail, GammonSite, and It's Your Turn. Compare statistics for actual dice rolls on Ariston, FIBS, GammonSite, Motif, and Safe Harbor Games. Fill out the Official Complaint Form. The fairest-rolling dice. Purchase online at BgShop, GammonCity, Gammoner, GammonStuff, GammonVillage, Koplow Games, Novadice, Hector Saxe, Svilo, and Zontik Games. Zontik also sells luxurious non-precision Swarovski crystal studded dice. Variety of leather shakers made by Svilen Todorov. Also see the selection at Gammon Stuff and Zontik Games. P-40 sells aluminum cups and a clear acrylic Dice Scrambler baffle box. An alternative to the rolling cup is the The Meyer Dice Tube. Download the free BGB iPhone/iPad app for backgammon dice, which also has timer and scorekeeper features and a separate Check My Dice free iTunes app which uses a Mersenne Twister random number generator. There is a Dice app for Apple devices. Google Play has many dice apps for Android devices. For Windows phones there are free dice roller apps. A free shaking roller app for Blackberry is Dice. Build your own very random electronic dice for use at home or in the car with the Velleman Dual Electronic Dice kit. Random.org has virtual dice whose randomness comes from atmospheric noise. Other free online dice simulators are Roll Dice Online and Virtual Dice Roll. The PBM Dice Server uses a MD5-based random number generator to provide impartial dice rolls for players of board games by mail. A lesson by Edward D. Collins at Ed's Backgammon Page. ThoughtCo has an article on calculating backgammon probabilities. Roll the dice online to demonstrate the Central Limit Theorem. Also see the MathWorld Dice article and Dice by Joe Celko. Read about dice coordinate systems. Examples of very unfair dice are at The Brothers Graham, Gambling Collectibles, and Highland Games. The Web home for Kevin Cook's world's largest collection of dice, with lots of general information and dice links. Other places to broadcast and view videos of lessons and tournament action are Ask, Mashpedia, MonkeySee, Vimeo, WN Network, and Yahoo!. There are video lessons by Mochy and other champions at Back-Gammon.TV. Youtube videos of tournament interviews and matches are at Mind Engagement. Picsearch results for online pictures and animations. Other sources for image searches across the Internet are Bing, Google, and Yahoo! Also search the photo collections at 123RF, Alamy , BoardGameGeek, Can Stock Photo, Clipart, Dreamstime, Flickr, Flickriver, Fotosearch, GettyImages, GoGraph, Image Source, Imgur , Instagram, iStock, PBase, Photos.com, PicLuck , Pinterest, ShutterStock, SmugMug, Thinkstock, Tumblr, Twicsy, and Wikimedia Commons. Images collected by Marinni of backgammon scenes in famous old paintings. Hardy has posted many images of backgammon in advertisements. Other online collections of art about backgammon may be found at AllPosters, ARC, Art.com, Art Prints on Demand, Art UK, Artcyclopedia, Artsy, Barewalls, Bridgeman, Fine Art America, FreeArt, Great Big Canvas, Google, Imagekind, NiceArtGallery, The Origin of Backgammon, Saatchi, Svilo's Gallery, and Wikigallery. Artists Ara and Jack Peterson have created many colorful wooden backgammon boards. DeviantART is "the world's largest online art community." There are outdoor life-size backgammon player monuments in Armenia and Russia. Backgammon designs printed on clothing, coasters, iPhone cases, mousepads, mugs, tote bags and other items are sold online at Cafe Press, Idakoos , Redbubble, and Zazzle. Shop online for backgammon tee shirts at Cruelest Game, eXtreme Gammon, and Spreadshirt. Backgammon-theme jewelry and accessories are for sale at BackgammonElegance. Hardy Hübener's illustrated history of the game in English and German. The Origin of Backgammon website traces in English and French the ancestors of backgammon since 1130 which use the same starting position as the modern game. James Masters' brief Backgammon History has Japanese and Spanish translations. Bill Davis has gathered the known historical facts on Backgammon and Doubling. The Sumerian Royal Game of Ur is the oldest known board game. A modern variation is Ben's Royal Game of Ur . The ancient Egyptians played Senet, which is another possible ancestor of modern backgammon. The British Museum website has the rules and more on Ur and Senet. A medieval Norse version of Senet is Valhalla. No need to buy or make a board. You can download and play Ur at the Tams11 multiplayer Gaming Lobby. Novel Games has free flash multiplayer versions of the Royal Game of Ur and Senet. There are also Windows game programs to download for The Royal Game of Ur and Senet. Senet Deluxe is an app for iPad and iPhone. At the Ancient Persian site you can play the similar games Eagle, Scorpion, and Burnt City. The ancient Romans played the board game tabula, which evolved from Ludus Duodecim Scriptorum. Play Duodecim Scripta for free online at Novel Games. Also see Games of the Viking & Anglo-Saxon Age for a version played during the Roman Iron Age. Some old Asian versions of the game are saka, ssang-ryouk and sugoroku. Rules for some of the more recent ancestors of modern backgammon, as reconstructed from their descriptions in books from the seventeenth century. Also see the old games of dublets and ticktack. The Swedish-Tables Association seeks to rekindle interest in a seventeenth century version of the board game. The Edmond Hoyle blog by David Levy discusses eighteenth century backgammon and other games. David Levy's exploration of the game which was popular in French society prior to the revolution. Also see Le jeu de Trictrac. Soumille is the the First Trictrac Program. The game of Jacquet was started around 1800 with the decline of trictrac. History of the Greek game with the variations known as portes, feyga and plakoto. Play the Greek variations and seven others against the computer or a friend at iTavli , which also has versions for Apple and Android devices. To play the three Greek games against the computer, try the Web applet at Moja Grecja or download the Leon or Palamedes Windows programs. Palamedes also has an Android download and a page on Facebook. Play plakoto (tapa) on Apple devices with Dortia. There is multiplayer Tavli at GamesFair. Single player Tavli3d is free to download. By Quirkat Limited to play online against the computer in Arabic or English. Tawle contains three different versions of backgammon, the most popular ones in the Middle East: Sheish Beish, Ma7booseh, and 31. For Apple devices there is a Tawla app. There is a free Tawla (Mahboseh) app to download for Blackberry devices. Rules for the variant similar to fevga and moultezim which is popular in Russia. The free Russian Nardes game is for Windows OS. For Apple devices there is a game app by Dmytro Denys. For Android devices there are apps by AAStudios and Miroslav Kisley. The rules according to Hoyle for a variation which has been popular in the U.S.Navy. There is an AceyDeucey game for Android devices. Download the shareware Absolute Acey Deucey for Macintosh OS X and iPad. Play the game online at VOG and VPchat. There is also a Java version of Acey Deucy which you can use to play online against a friend or computer opponent. Computer oppponent by Hugh Sconyers for the variation played with only three checkers per side. CD-ROM may be ordered from Backgammon A La Carte. You can also play the game at various online playsites. Another three checker variant is Nannon by professor Jordan Pollack, which uses a pocket size six-point board. You can try the game for free online against the computer AI. The game Blockade requires sixteen checkers per player and uses only half of the backgammon board. Rowena is played with three dice and five extra checkers per side. A game with ten checkers per player on a sixteen point board and four sided dice is MicroGammon . Basic rules for a form of backgammon played by three or more. Other versions of the rules appear on the pages of ABA, Brass City, Bg ACT, The Gammon Press, L.A., St. Albans, Wikibooks, WikiHow, and Wikipedia. Rules for chouette tournaments there at ABA. Printable chouette scoresheets are available for free download from BPC Chicago, and Colorado BG. Digital scoring aids are Chouette Calculator software by Gamer Cafe and the Android app Chouette Manager by AppBrain . BGPlus sells a SHUE wood marker kit to keep track of your place in line for chouettes or Backgammon Plus(BG+) team play. Find a chouette meetup group. Facebook page for the online group game where up to six players can play on the same board as individuals or as teams. Another partners game is Doubles Backgammon. A variation playable by three people at once is Trigammon. Games for four individual players are Circle Gammon, Quadgammon, and Quadragammon. Zodiac is a seven-player variant from the 13th century played with three seven-sided dice. Board game patented by Scott D. Pardee, which combines elements of backgammon, checkers, and chess. Online there is a Chebache discussion group. Some other hybrid backgammon games include Abak, Chessgammon, diceless backgammon, domino backgammon, gamma chess, NC-Backgammon, and wargammon. Article on a variant game with a rules change for the dice throws, whereby a player can roll to cancel all or part of an opponent's roll. To play the Eskgammon variation, switch one of each player's dice to a ten-sided (d10) die. Play Backgammon 8s online with 8-sided dice and 8 point quadrants at gambit.com. A variant game for Android is MadGammon where you can move stacks of checkers. Non-traditional boards are used to play Savoy, SnapGammon, and Twistgammon. Martian Backgammon, IceGammon and Kotra are Icehouse Games. Please send your comments and suggestions for missing links to Mel Leifer.